Dedicated to to cruising. If you're a fellow cruise nut then SCR is the place for you. Cruises occur monthly with destinations from Gosford to Melbourne, if its possible to cruise there then we'll be there. CRX Australia is the first and the only CRX club in Australia. The club is still very young and nationalised. there for no official activity have been held. However, interstate cruise is planned in the near future. There are no specific requirement for membership. Anyone may join the club by going to the web site. 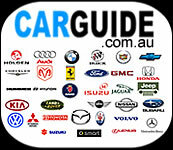 Is a modified car group based in Canberra, Australia. There are going to be many activities organised in this group which include cruises, bbq, parties, car shows and more. These will all be notified to members by email, through the web page or phone. By being in this group we hope that you will also be able to obtain discounts from various automotive businesses interested in serving the needs of our members. These businesses will be mentioned on the web page.